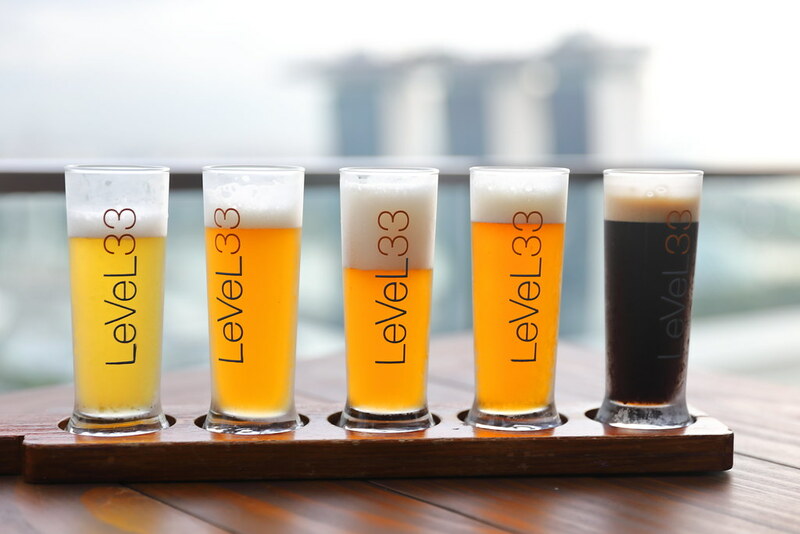 I am back at Level 33, the world's highest urban craft-brewery and modern European kitchen after my last visit more than 3 years back. I am checking out Executive Chef Jimi Tegerdine's new menu which is inspired by the craft beers and the brewing process at Level 33. Our dinner started with the Japanese Deep Sea Crab ($28) which comes with crab legs and claw poached in butter. I enjoyed the acidity of the lime gel which somewhat accentuated the sweetness of the crab and lifted the enjoyment. I appreciated the use of grilled corn for the dish but the popcorn was a bit off for me. Next is the Hokkaido Scallop ($27) which is lightly poached before serving. It is dressed in a green dashi sauce and crowned with orange caviar and bonito flakes. 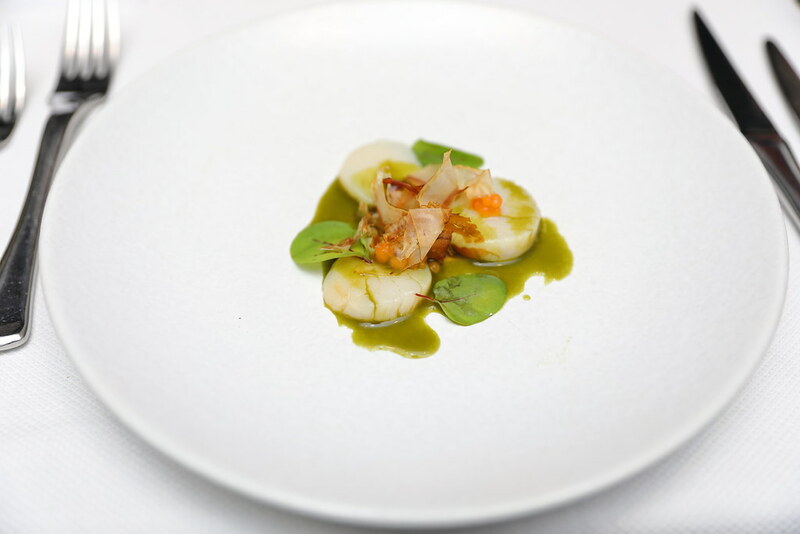 I thought the sauce was a bit too intense throwing the balance slightly off and masking the sweetness of the scallop. I probably would enjoy more if there was some sear on the scallop. This is my first time having Kangaroo ($37) and I was not sure what to expect. The piece of red loin meat was sous vide and char grilled. It is then paired with beetroot and turnip puree. Texture wise its a bit muscular. Taste wise I thought it was quite similar to pig liver. 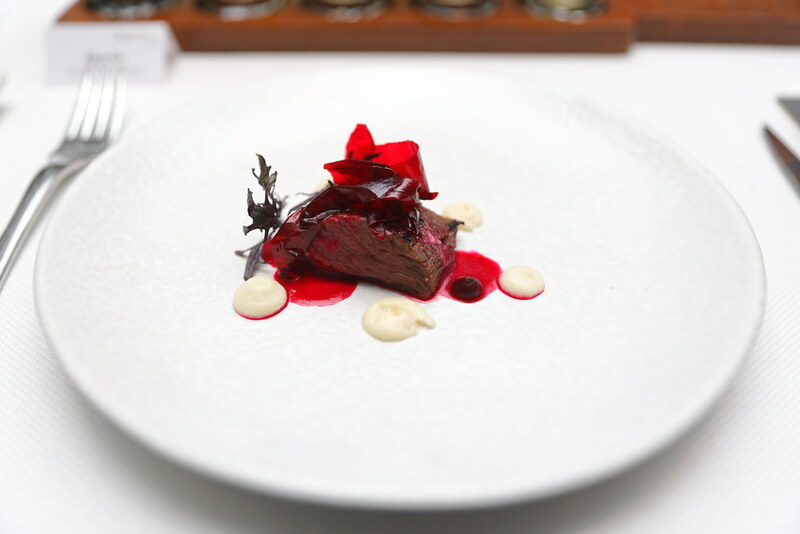 While kangaroo meat is acceptable for me, I would prefer it to be more charred as to cut the richness of the kangaroo meat. 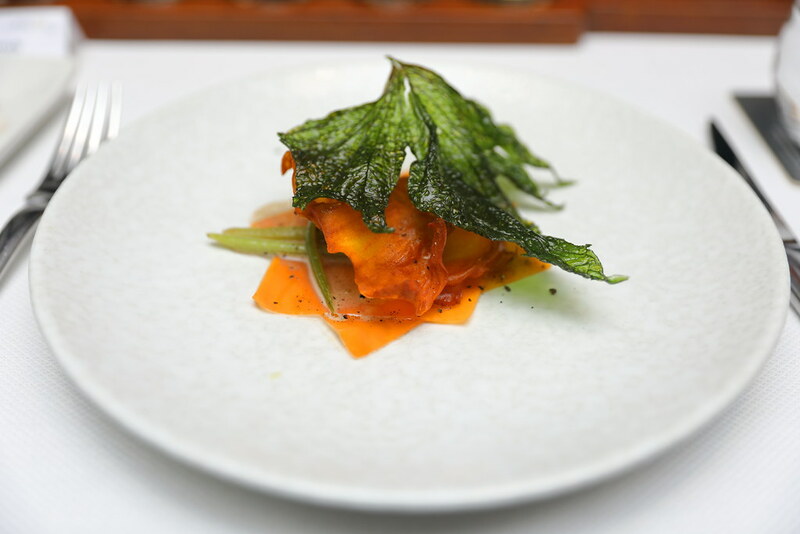 The Truffled Kumara ($28) is a vegetarian dish on the menu. 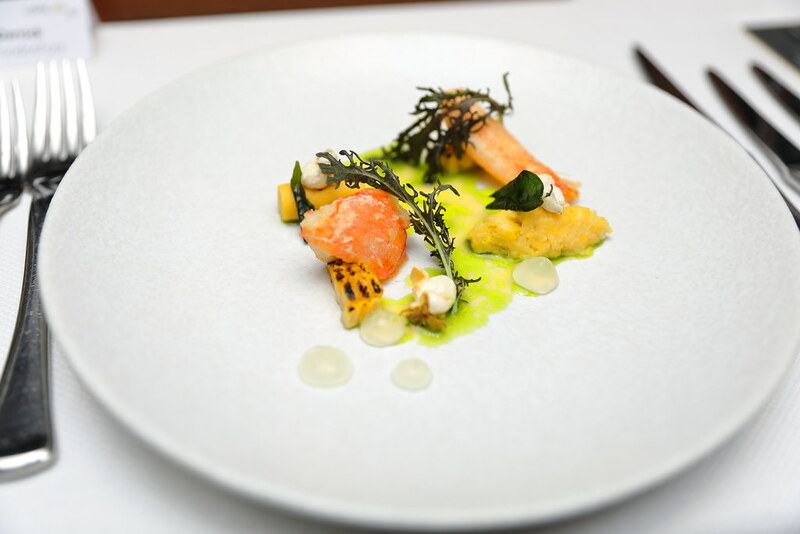 It comes in a trio of Kumara sweet potatoes, trumpet mushroom and sake-fermented leek and dressed with truffle oil. The dish looks appealing but I did not quite enjoy it. I felt the whole execution was a bit on the dry side, lacking a sauce to whole it together. Good for sharing is the NY Strip ($135). 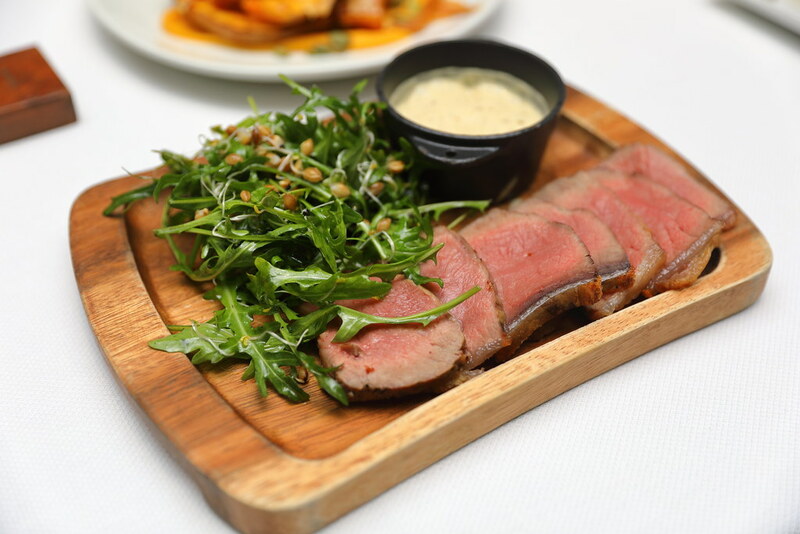 Cooked beautifully to medium rare is the 8 weeks dry-aged French Sirloin, served with mustard espuma. 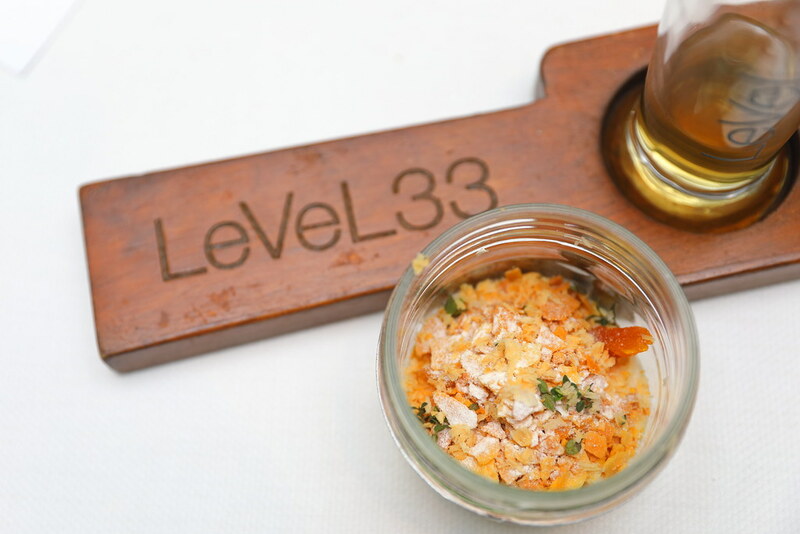 Level 33 is one of the 3 restaurants in Singapoe serving it. You can also order some dishes such as the Spinach ($11) and Butternut Squash ($15) to go with the tender piece of beef. You can find a perfect harmony of sweet and sour in the Strawberry ($15). 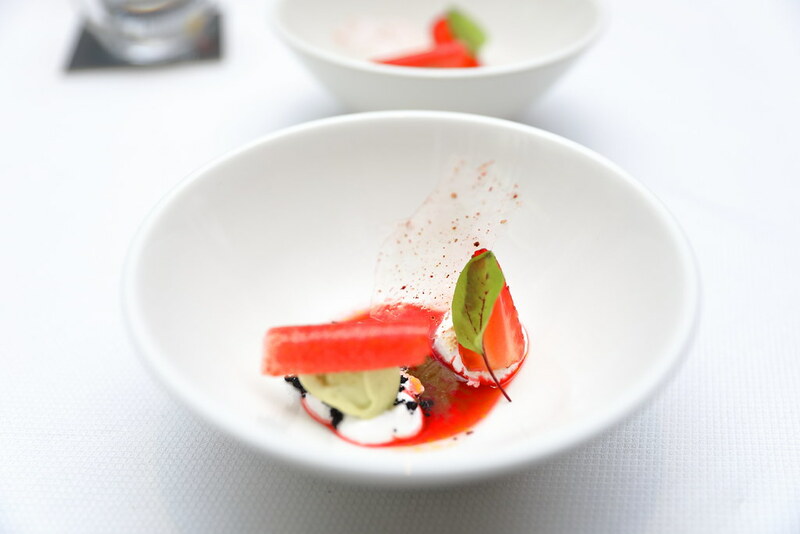 It comes with various textures of strawberry paired with meringue and sorrel ice cream in the light and refreshing dessert. Another light and delicious dessert on the menu is the Cereal ($13.50). Served in a jar, it comes with shaved macadamia, beer malt praline, almond milk mousse and lemon curd. Every spoonful of the dessert, you can a combination of sweet, sour and textures working delightfully on the palate.